Love how the yellow of your shirt picks up the yellow line in the skirt… and the pom poms reference your shoes. Great look. Thank you so much Liana! 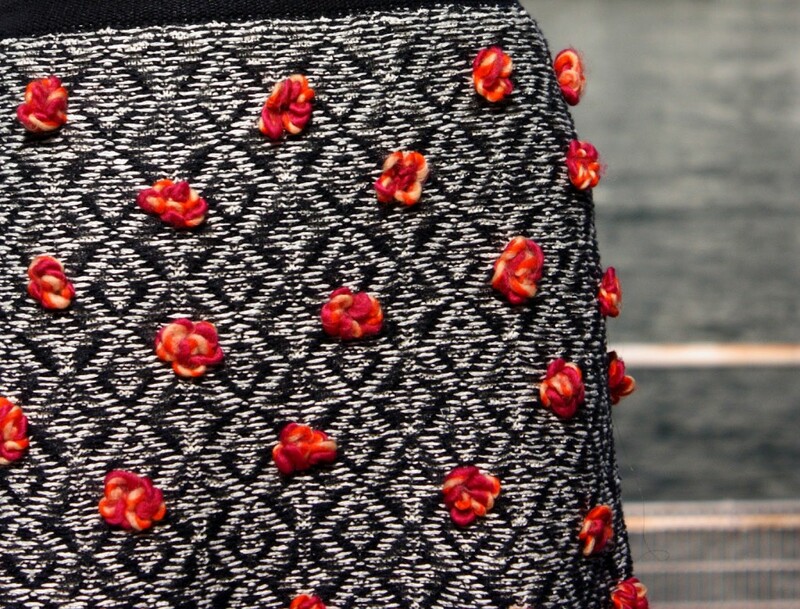 I loved styling this skirt! This is my absolute favorite outfit. I love everything about it. The embroidery that reminds of pompoms, the fringe, the shoes! The pink purse and yellow shirt. This is an amazing combination! So inspiring! I saved this picture so I can be inspired by it to play more with my clothing. You do it so well!